A common problem with Remote Desktop Services RemoteApp and Citrix XenApp environments is that the same user may start the same application multiple times, which is a problem when resources are limited. The solution is to create a boot script that starts the application, but only if it is not already started by the executing user. This page explains how to make boot scripts that block multiple use of an application from the same user and shows an example of creating a custom application launch graphical menu. 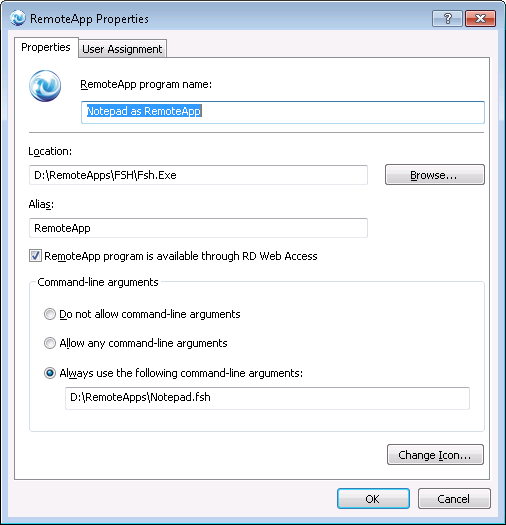 A Remote Desktop Services RemoteApp will be used as an example, but the principles are the same for XenApp applications. Please refer to this page for information on how to deploy application to all servers in a farm. ShowErrorMessage Notepad can only be started once per user. The script could easily be expanded with more logic. For example - in the real world, not all users are equally important. If we wanted to block execution of notepad, but not for a certain group of users, we can simply add another condition. In the script below, a user may start Notepad multiple times, if he or she is member of the group "AcmeSuperUsers". The reason the above script works is because the TS Session Broker will direct a user to the same server, if the user already has a session. If other load balancing technologies are used and a user therefore may be served by different servers, it is of course not possible to identify existing sessions by looking at process information, as these reside in memory per server. 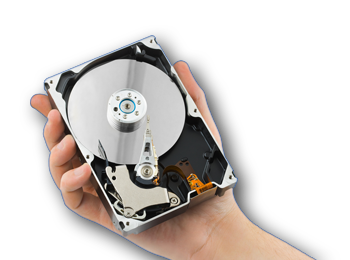 We need to store session states somewhere else and in this case we will use a SQL Server database to host session state changes. It is also possible to create menus with simple scripts. This voids the need for lots of different .rdp files and only one published application is then necessary. 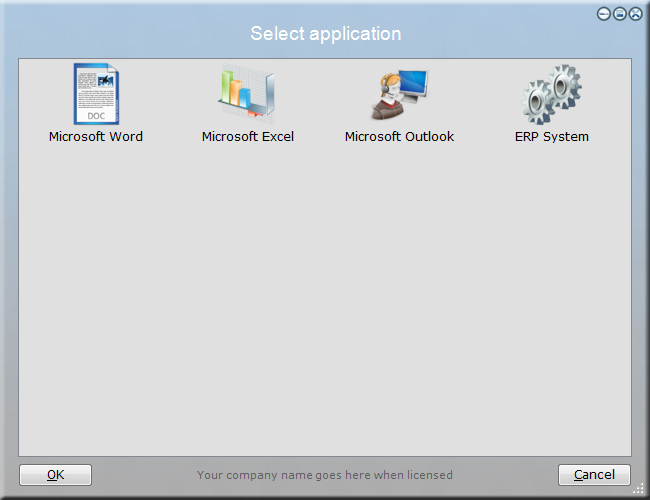 The script below is a simple example, where Office programs and the fictitious company Acme's ERP system are made available to everyone. In the real world it is of course unlikely that all users may actually start all applications. The example below builds a menu based on user domain group memberships instead. You can insert this example in the script editor by selecting "RemoteApp Boot Menu" in the "New Script" window.